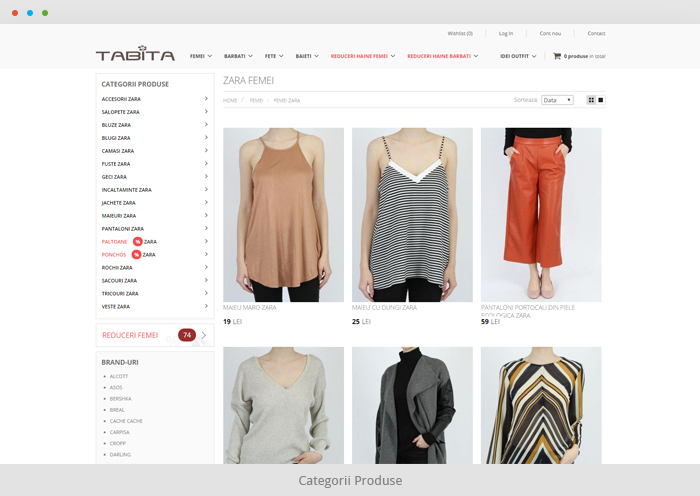 As an online shopping website with an out-of-the-box name and irresistible stylish products on sale, Tabita actually provides valuable experiences. Top all that with the quality of services and an impressive range of online facilities and there’s no wonder they became so popular. Our contribution to this project was significant, as we didn’t just reshape their online platform. We also built from scratch a mobile website that consistently increased their online exposure. We are firm believers that a well-thought plan is essential for a project’s success. For Tabita, we started the planning by outlining a detailed wireframe, like we always do. At the same time, we researched, debated, and decided on the best e-commerce design and development practices. We outlined the main directions and we divided tasks by departments, so that everyone will know and play their part by the book. Selling products for women, men, girls, and boys, we addressed four different categories of buyers, focusing our research on the main user types. Age and e-commerce experience were also considered, allowing us to determine what should we lay out and in what manner. For the thousands of products listed throughout the shop, space had to be the definitive feature. We, therefore, set up an airy layout and a minimalist design, allowing visitors to focus on the products, with no other distractions coming from the overall design. 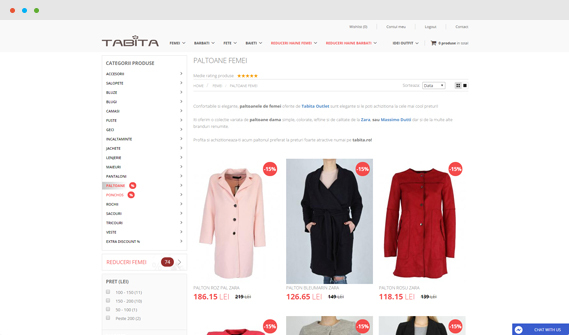 A wide range of products usually complicates things in the architecture of any online shop. 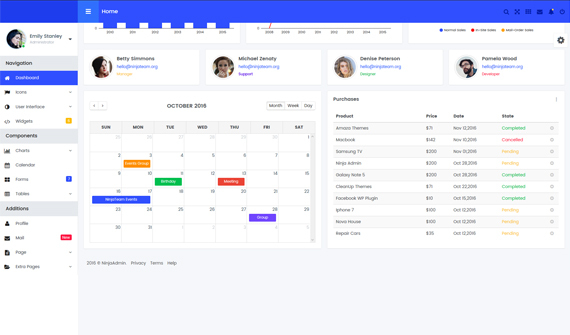 But we did our job flawlessly in the admin panel, categorizing products in a way that made search, navigation and shopping between all those sections the most natural buying experience. After minimalism and products display, responsiveness was also a major concern. So, in line with all that and with our intention to display products in a clear, modular way, we implemented the Bootstrap grid. This resulted in a perfect organization of content throughout all pages. 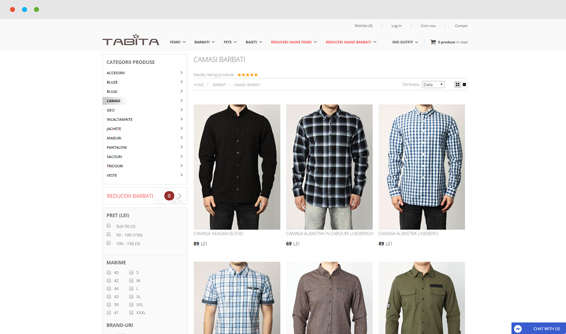 Ever since we discussed this project, in the planning stage, we agreed with the client that the online shop will have a clean, very simple and logical layout and user interface. The ultimate goal was to give visitors space and make them feel comfortable while surfing through the beautiful product imagery. 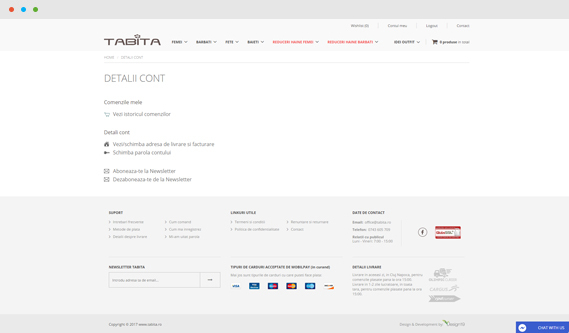 Explore this slide on the right side for a better view of what visitors experience on the Tabita website. One of the best ways to encourage potential buyers hit the Buy button was to help them picture those clothes on themselves. We, therefore, filled all product pages with abundant, extremely useful product information. Product mapping involved personalizing every product with size guides and size availabilities, quantities (with emphasize on Last Item), product descriptions, delivery details, product photos from different angles and more. 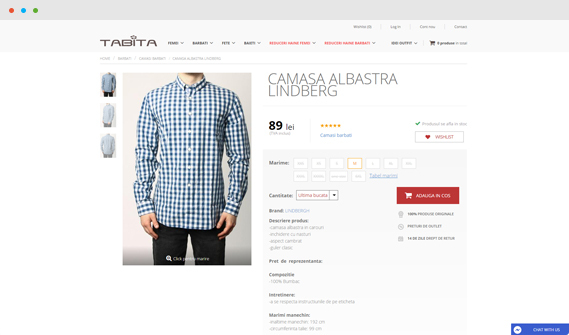 In the same line with enticing users to see themselves wearing products, we implemented a cross-selling system that makes suggestions of other items what would perfectly pair with and complement a particular product in the catalog. This served as a virtual shopping assistant that helps buyers take better (and MORE) buying decisions. When every action on the website is easily performed, customers are more willing to go through their orders. For this purpose, but also to improve the overall user experience, we categorized products for easy management. The website was built on a solid and intuitive architecture, with explicit product categories and labels and even with automatic selection for a given number of products. 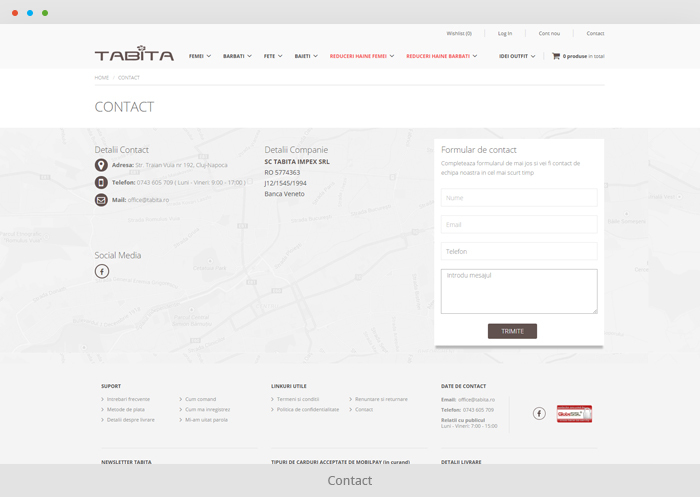 Tabita wanted to encourage and foster an honest relationship with its clients. So, to raise their confidence and encourage them ordering no matter what, they asked us to implement a rewarding system with buyback points and restores. We set up the technical details that allow users to ship back products that they bought, receive bonus points in exchange, and have the possibility to use those points for future orders. 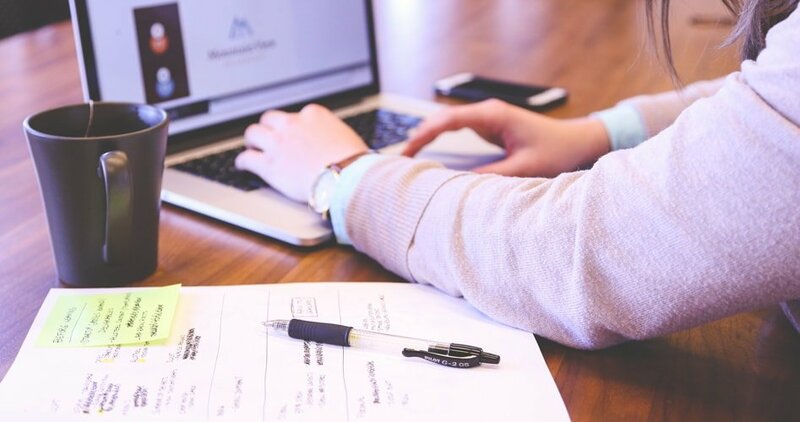 As plenty of information is available on the site and the number of registered users is poised to soar, we offered our client extended user management control. This feature allows blocking access to certain parts of the platform, for specific timeframes, right from the admin account. The client decides when and how to use this custom function, but it definitely makes him more in control. We all agreed that Tabita could use more exposure in the online. While we optimized the platform to be responsive and adaptable to different devices, we also created a dedicated mobile website. Our developers and designers worked separately and coded with mobile usability in mind. Needless to say, the Tabita customers were thrilled by the opportunity to shop their favorite products from their smartphones. Within one month of us handling their SEO, website traffic went up with 58% and another month later, with 79%. Our optimization processes helped Tabita gain an average position in SERP of 6.2 in less than four months. Following our project delivery, the online shop sold XYZ products and still counting. 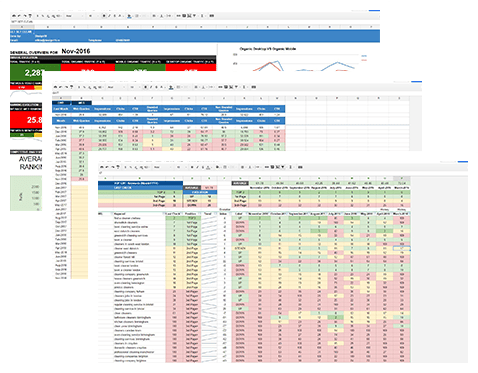 This Dashboard is a special document where we round up monthly and annual statistics. We monitor their websites’ evolution and traffic data, adjusting our SEO strategies accordingly. After creating and configuring their Google Search Console account, we started to gather keyword and traffic data, search queries statistics and other valuable performance indicators. We looked into 100 keywords with the biggest potential to generate traffic. Then, we narrowed it down to the first 50 keywords, using them every month for monitoring website rankings. Did you like our Tabita project?